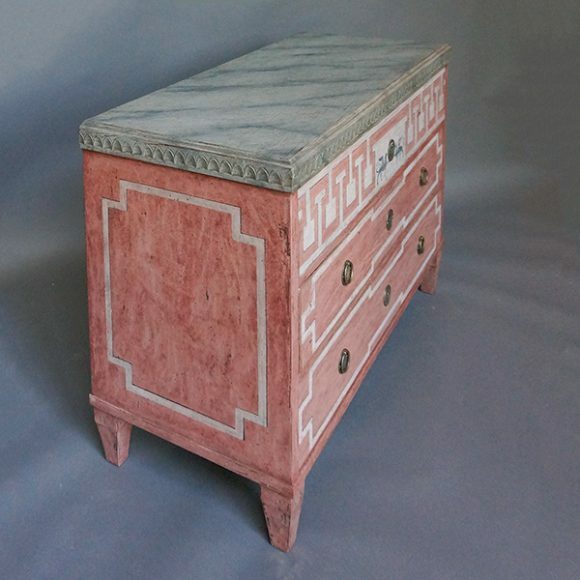 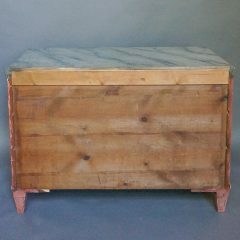 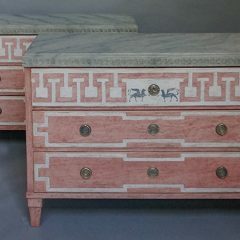 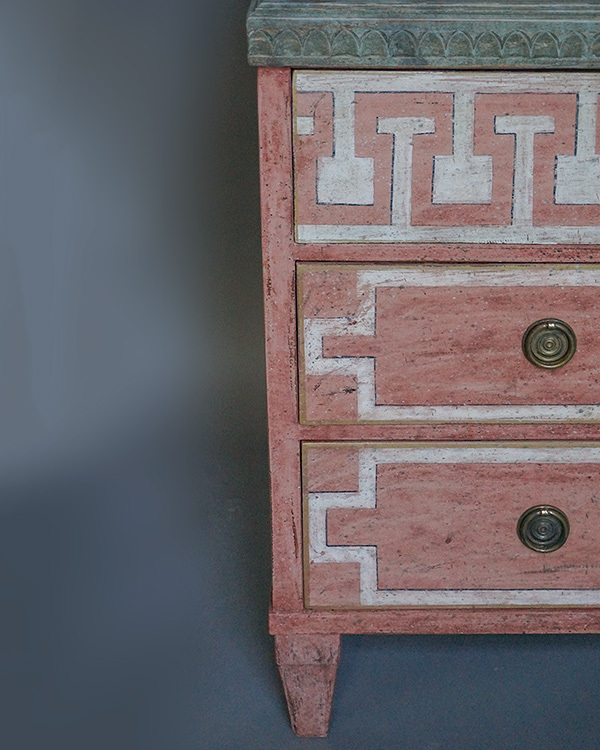 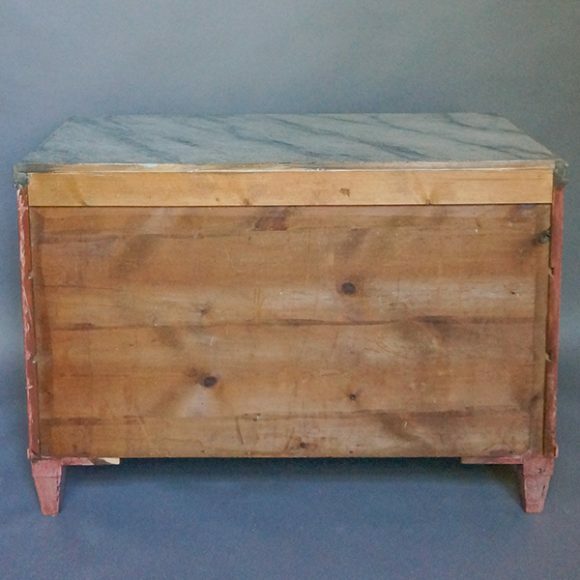 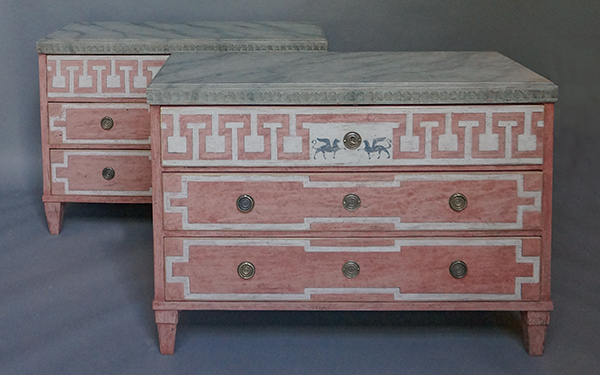 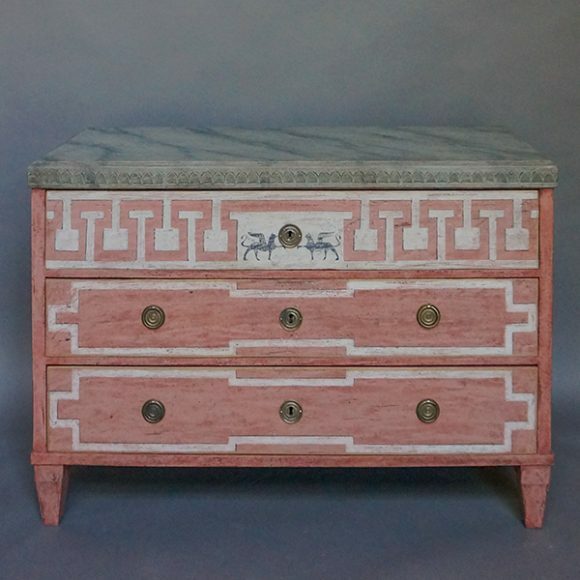 Pair of Swedish three-drawer chests, circa 1880, with beautiful painted surface. Lambs tongue molding surrounds the top painted as Swedish green marble. 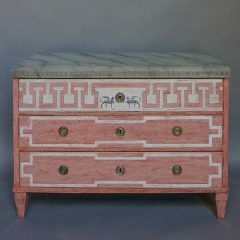 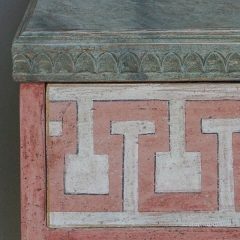 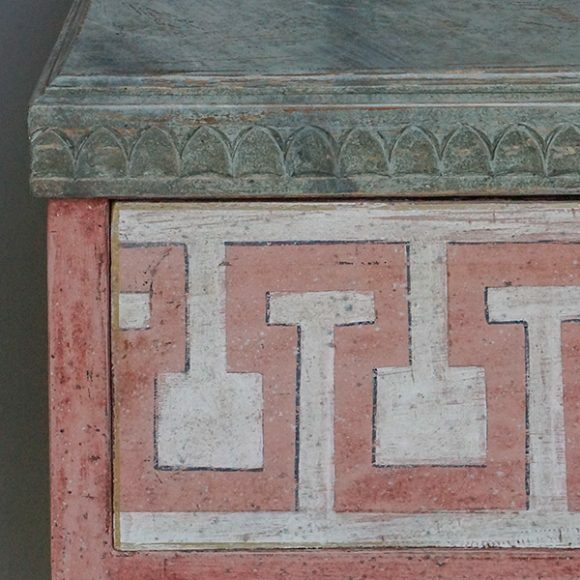 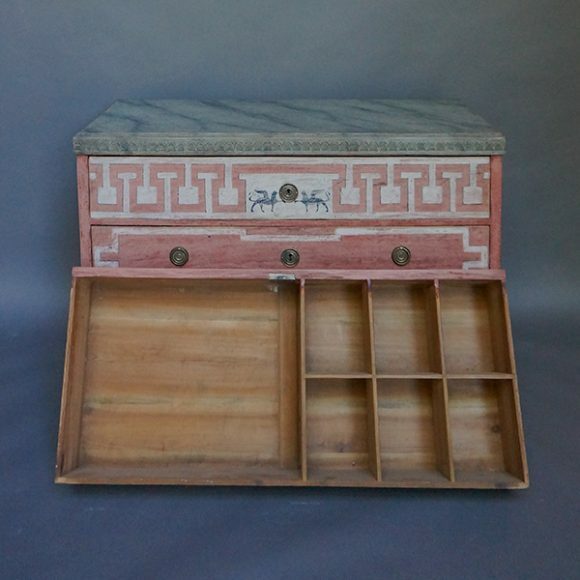 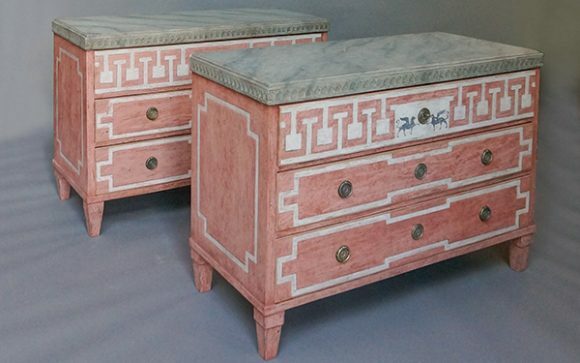 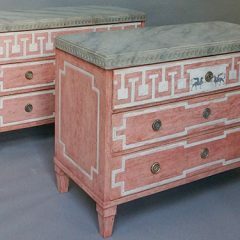 Each of the drawers and the sides are painted with trompe l-oeil moldings. 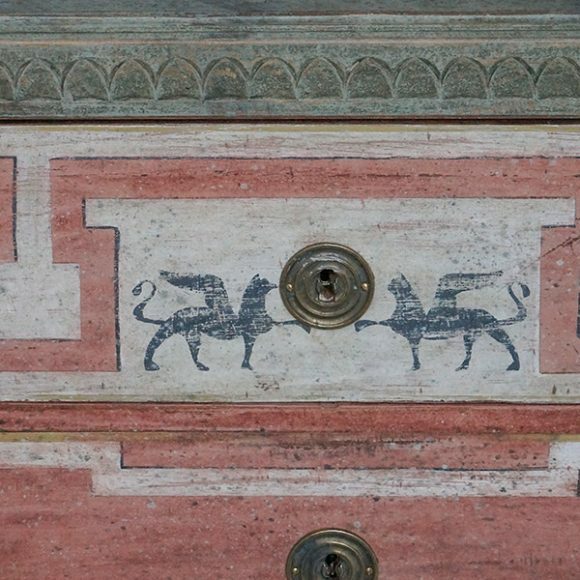 In the center of the top drawers are panels with facing pairs of griffins. 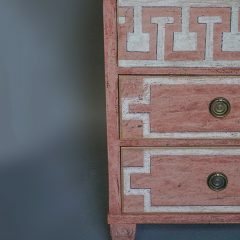 While the commodes are period, the paint is more recent, executed by a renowned Scandinavian restorer.